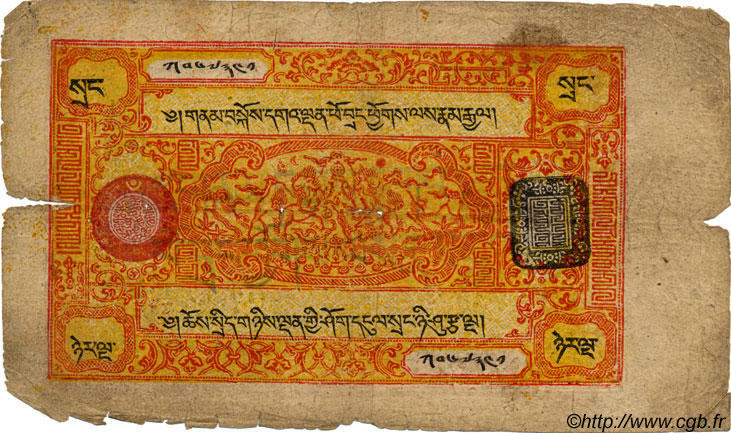 A friend just brought me back a 25 Srang note from Tibet! It looks a lot like the one above. This note was printed in 1941-1947, although there is no date on the bill itself. 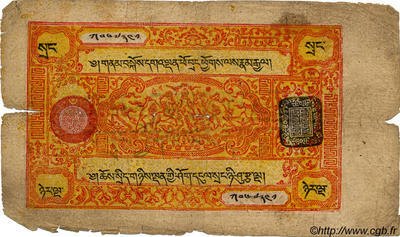 It has three layers of paper, with the center layer having a "security code" of Tibetan printing. If you hold it up to the light, you can see it. If any of you come across examples of exciting paper currency and would like to donate them to my collection, just contact me for a mailing address! !